According to a research letter published on February 2013 in the National Center for Health Statistics, fatal drug overdoses have increased for the 11th consecutive year in the United States. 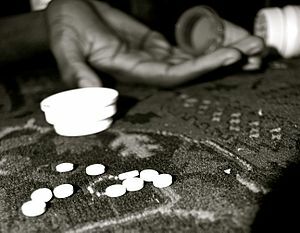 Over 38,000 people died of drug overdoses in the United States in 2010, which is a large increase from the previous years. As countless athletes and celebrities have been victims of drug overdoses such as Anna Nicole Smith, Whitney Houston, Michael Jackson, and most recently rapper Chris Kelly, the need for changes in the law become increasingly clear. Many state political leaders are now looking into ways to prevent drug overdosing in their State. New Jersey Governor Chris Christie signed a law entitled “The Overdose Protection Act” on May 2nd 2013 that enables people to report drug overdoses without fear of being arrested. The Act allows people who struggle with drug use to seek medical help for themselves or for someone else experiencing a drug overdose. The bill will also prevent any legal action against those who administer overdose medications in life-threatening situations. According to Drug Policy Alliance, New Jersey along with 11 other states and the District of Columbia have similar protection laws. The state of New Jersey also offers addiction services which promotes the prevention and treatment of substance disorders and supports the recovery of individuals affected by addiction, including drug overdose. The services also oversees the Statewide Intoxicated Driving Program (N.J.S.A. 39:4-50), which reviews the records of drivers convicted of driving under the influence and schedules these drivers for detention, evaluation, education, and treatment referral. New Jersey also offers Licensed Clinical Alcohol and Drug Counselors (LCADC) to provide alcohol and drug counseling. Alcohol and drug counselors assists an individual or group to develop an understanding of alcohol and drug dependency problems, define goals, and plan actions reflecting the individual’s or group’s interest, abilities, and needs as affected by alcohol and drug dependency problems. If you are suffering from drug abuse or have been arrested for a drug-related crime contact The Rosenblum Law Firm today for a free consultation about your matter. No matter the situation you have rights and should ask an experienced licensed attorney any questions you may have regarding a possible drug case or violation.